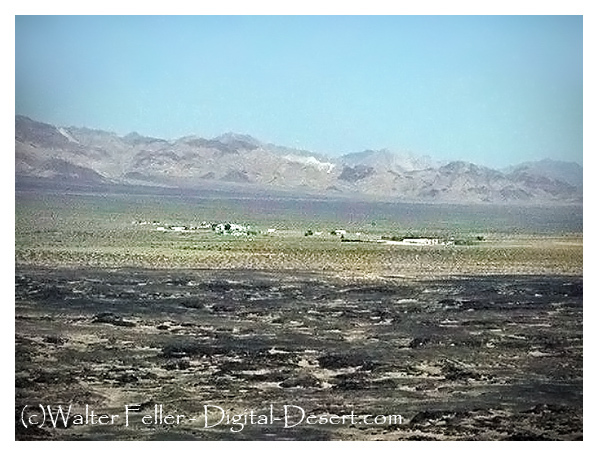 Although Amboy was first settled in 1858, the town not established until 1883. Lewis Kingman, a locating engineer for the Atlantic and Pacific Railroad, created the town as the first of a series of alphabetical railroad stations that was being constructing across the Mojave Desert. In 1926, Amboy became a boom town after the opening of U.S. Route 66. 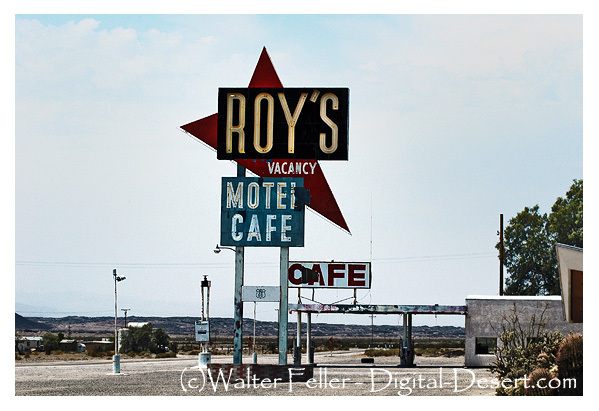 In 1938, Roy's Motel and Cafe opened, which prospered due to its isolated location on the route. 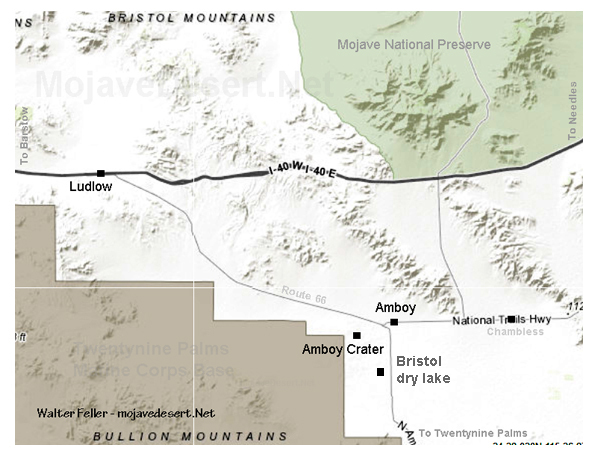 By 1940, Amboy's population had increased to 65. Its growth was tied not only to tourists, but also to the Santa Fe Railroad over which high-speed freight trains still run today between Kingman, Arizona and the BNSF Railway Barstow yard. During the Great Depression and World War II, tourism declined nationally. But the remaining travlers need for lodging, meals, and gasoline kept the town busy. 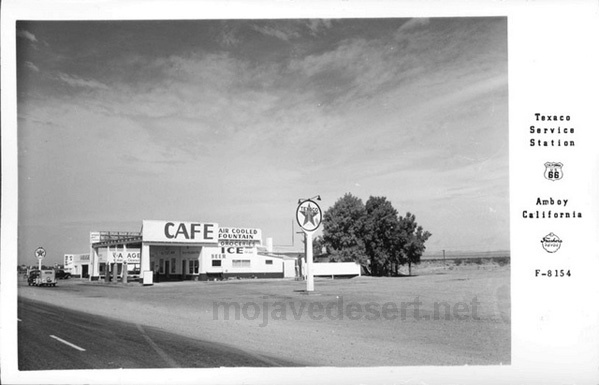 The town remained this way until the opening of Interstate 40 in 1973, which bypassed Amboy as well as other rest stop communities such as; Newberry Springs, Daggett, and Essex.